What is the Object of Poker? - Casino Answers! Casino Answers » Poker » Online Poker Beginner Q&A » What is the Object of Poker? The object of poker is simple – to make money. It doesn’t matter whether it’s a cash game or a tournament, whether it’s online at poker rooms like Full Tilt Poker, or at your kitchen table with family and friends. 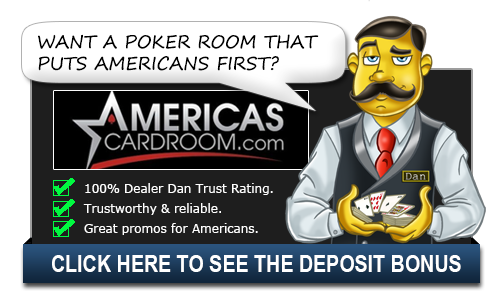 The aim of the game is always the same – to make money playing poker. Some people get confused by the object of poker and assume that making money is all about winning pots. While yes – you have to win pots to make money – you can’t go out to win every pot. You have to pick your battles, and if you are a beginner especially, rely more on your cards and making the correct mathematical moves. For example – what if you attempted to win every pot you played in? Well you just aren’t going to, and if you’ve heard the old saying “it takes money to make money” then that is the case with trying to win pots at poker. Quite often you are risking more chips than is in the pot. Your real goal, and the object of poker is simple – to maximize your wins and minimize your losses. It really is that simple. Maximizing your wins and minimizing your losses isn’t just about the cards – there are so many other factors too. For example, are you mentally prepared to play? Did you just get in an argument with your wife minutes before sitting down to play? Then you may not be mentally stable enough to play and should sit back and take a break. Try and only play when you are at your best. There are hands in which you want to slow play and get as much money as possible out of your opponents, but then there are other hands in which you need to try and win the hand as soon as possible. Hopefully even stealing the blinds and being done with it. Learning to know the difference and enacting that plan is the key to becoming a winning poker player and it can take years to master. Another factor of maximizing your wins and minimizing your losses is utilizing proper bankroll management. Sitting at a $0.01/$0.02 game with a $10,000 bankroll? You’re over bankrolled and will get complacent, play more pots and not care enough about the money. Sitting at a $1,000/$2,000 game with the same $10,000 bankroll? Now you are under-rolled, and cannot withstand the variance. The key is to find that sweet spot, 300 big bets for limit poker or 30 buyins for no limit poker are two generally accepted rules, and the bare minimum of what your bankroll should be. On a side note if you are seething from that argument with your wife or had a bad day at work, there’s nothing more fun than heading to the practice or small stakes tables at PKR Poker, and making your 3D character laugh out loud every time you win a pot. Playing online poker is a ton of fun and it doesn’t have to be about just making money. Sometimes it’s just about playing the game.